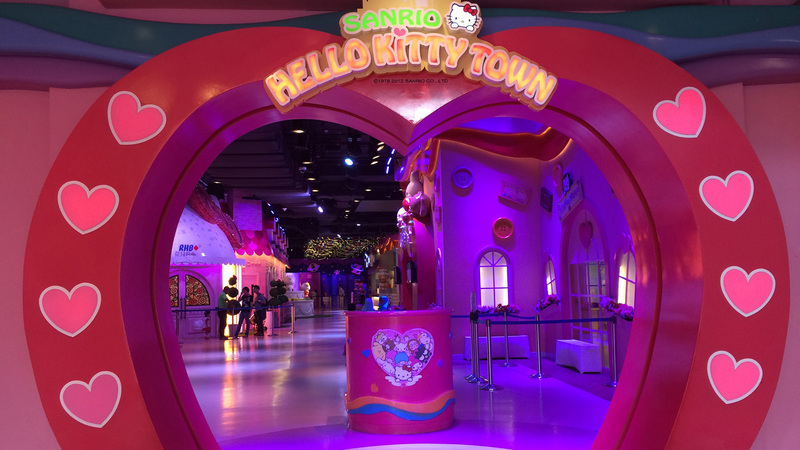 Get your Hello Kitty and Thomas Town ticket and have a fun pleasant trip here! 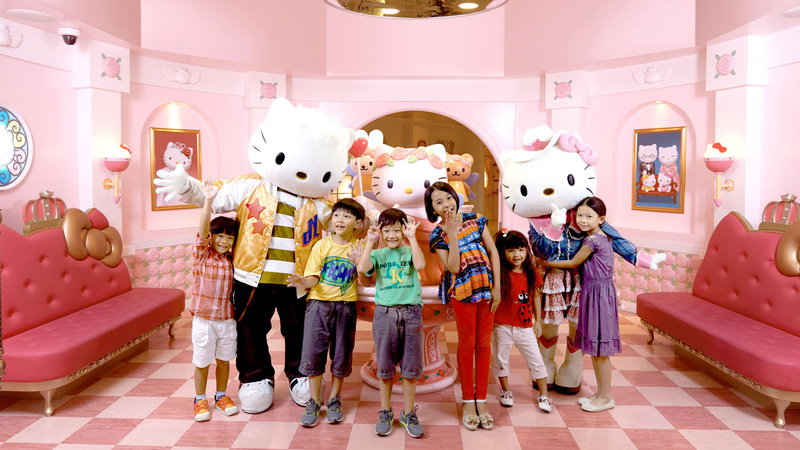 The Hello Kitty Land Malaysia package will let you join the 'Purrfect' stage, where Little Twin Stars and My Melody will entertain you with your family with live performances every day. Get your fun experience at Friendship Land, a place for theme rides, playgrounds and a host of attractions. Enjoy a trip to Wishful Studio, where everyone can join workshops such as jewelry making and pastry. Dress up and get a dance class from Angelina Ballerina, then get up with the 'Can-do' Bob crew in Build it Zone. 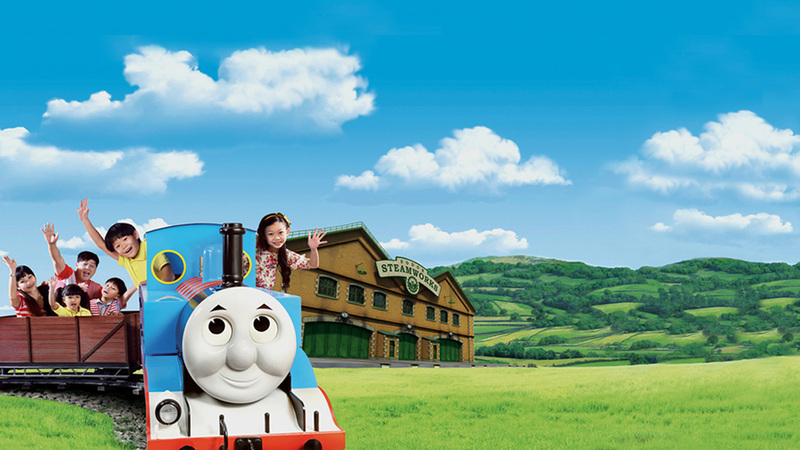 Don't miss out the Thomas Town ticket promotion and sing with Barney at her playhouse, visit the igloo with Pingu, and of course, choo-choo with Thomas in her interactive rides! Thomas Town is closed every Tuesday. Guests above three years old or more than 90 centimeters in height are required to purchase the ticket for park entry, whereas guests under three years old or below 90 centimeters in height are allowed free park entry. No wristbands or activity cards will be issued for free entrants. Guests are not permitted to bring outside food or beverage into the park. Guests are advised to dispose such items or will have the items confiscated prior to entering the park. This does not apply to food or beverages for guests with special dietary requirements, provided these are properly packaged. All persons, bags, parcels, and other items are subject to security checks at the Park’s admission points and at any other locations inside the park considered appropriate. The hosts reserve the right not to allow any bag, parcel, or other items to be brought into the park and to deal with any unattended item found in the park in such a way considered appropriate. Smoking is prohibited in all areas of the park. Guests who smoke in the park or who fail to obey a direction from the authorized person to cease smoking in the park will be asked to leave without refund and compensation. There are many scheduled performances and meet & greet sessions held daily. Timings are available onsite. Same-day re-entry is permitted with this e-ticket. Some rides have minimum height requirements for safety reasons. Guests under the stated height requirements are strictly not allowed on the rides. Guests with significant health concerns and expectant mothers should refrain from going on rides. Guests with physical limitations (e.g. with casts or braces) may not be permitted to use rides. Guests who, in the park's opinion, are wearing offensive attire or clothing that may pose a potential hazard may be denied entry to the park. Items which, in the park's opinion, pose safety or nuisance concerns will not be permitted. The park may from time to time, without prior notice and without refund or compensation, change the operating hours of the park, close the park or any rides or any part of it temporarily, restrict the number of persons having access to the park, and/or suspend or cancel any attraction or entertainment program, due to capacity or special events, to ensure safety, security or order, or if we consider that the circumstances so require. The park shall not at any time or any manner be responsible and/or liable for any injury, fatality, sickness, or accidents howsoever caused or for any losses or damage any kind whatsoever arising out of the use of these facilities directly or indirectly. A number of other transport options are available to help you find your way to Puteri Harbour, Nusajaya. From taxis to shuttle buses, ferry services, and flights, making getting there easy whether you're traveling from Singapore, Johor Bahru, Malaysia or further afield. 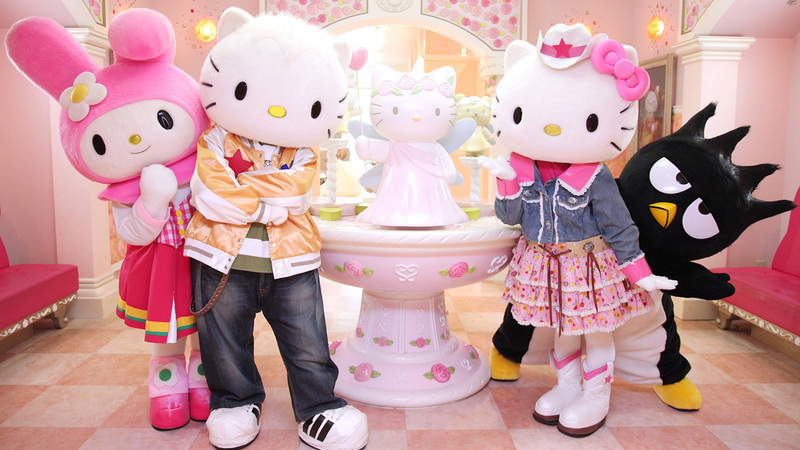 Step into the world of Hello Kitty and friends! 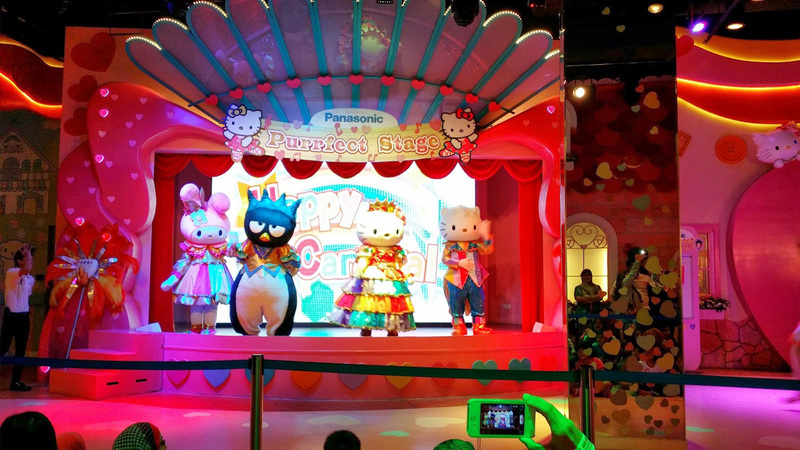 Get your Hello Kitty land promotion and join a show at The ‘Purrfect' Stage, where Little Twin Stars and My Melody entertain the family with daily live performances. You can challenge your friends or family to have fun at Friendship Land, home to themed rides, a playground and a number of attractions. Later, take a walk to Wishful Studio, where everyone can join in workshops like jewelry making and cookie baking. Dress up and get a dance class from Angelina Ballerina, then build a house with Bob's ‘Can-do' Crew at the Build it Zone. Sing-a-long with Barney at his playhouse, visit the igloo with Pingu, and of course, choo-choo along with Thomas on his interactive rides! 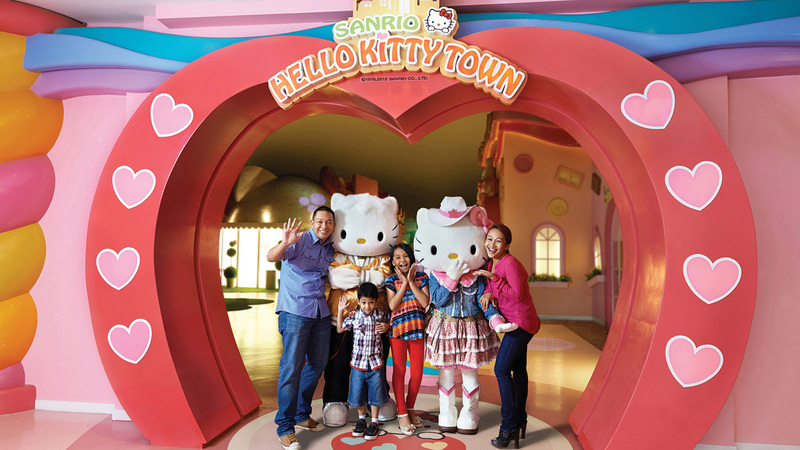 Make sure you get your Hello Kitty Town ticket promotion 2018, and Legoland Malaysia Admission only on Befreetour! Q: How long do I get an E-voucher after booking? Q: What if I do not get a ticket within 24 hours? Q: Should I redeem the voucher with a ticket? Q: I can not make the payment, what should I do? Q: Can I cancel and get a refund? Q: How long is the duration for this activity? A: You may choose to get there via a private transfer from Singapore to Persiaran Puteri Selatan, Puteri Harbour, 79000 Nusajaya, Johor Darul Takzim, Malaysia. A number of other transport options are available to help you find your way to Puteri Port, Nusajaya. You can choose a taxi or shuttle bus, ferry service and flights. Get there easily whether you are traveling from Singapore, Johor Bahru, Malaysia or other areas.